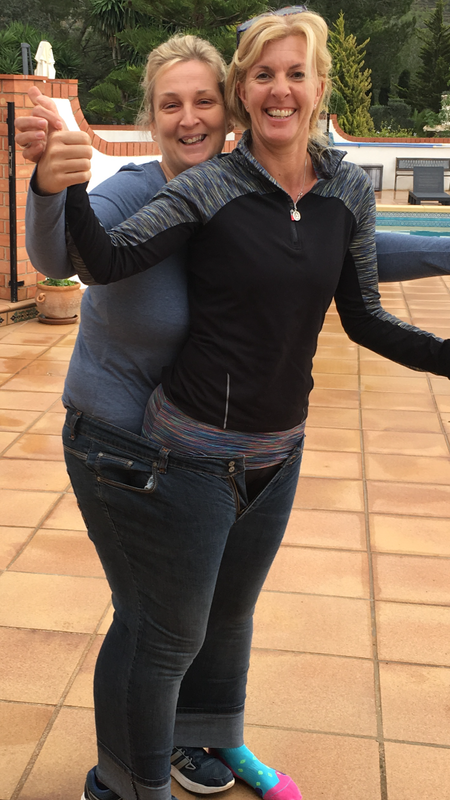 Today (OK, well yesterday, Saturday 17th December 2016) marks a very, very special day because throughout the year, we have had the pleasure of spending time with Cheryl (or Chezza as she is now known) at our Retreat. 2016, for her, was the year she wanted to D-Tox her life. She made a decision that she wanted to address her weigh but, more importantly, to deal with things that she had been struggling to deal with for many, many years. To say that we are proud of her is a bit of an understatement because we’ve watched Chezza challenge herself to embrace every aspect of our Program. Not only did she meet her weight loss target but she also stopped taking medication she had been on for 20 years. She no longer relies on her steroids to take care of her eczema and her asthma pump is now only used when the pollen in the area gets bad. While Chezza was with us, she was free to come and go as she pleased. We chose not to “force” her to do anything and what she took part in was entirely up to her. As she was with us for a very long period, we never, ever expected her to follow the program to the letter every week – for us, that is way too much for anyone to do. But she chose to embrace the principles of our “real life, healthy living” approach to everything and the results she has achieved speak for themselves. Over and above that, she has now made the decision to move to Spain and we’re please to say she will be making a regular appearance at the Retreat too. For now, all we can say is a HUGE WELL DONE to an amazing lady who has become a big part of our lives. We look forward to seeing what 2017 brings. Today is the last day of my year to D-Toxd my life! Wowsers what a rollercoaster year! 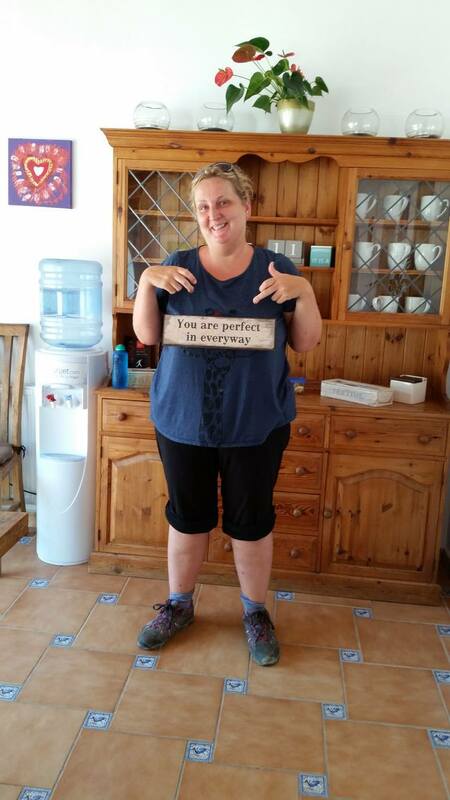 5 stone 4lbs weight loss and no more antidepressants after taking them for 20 years – not a bad effort hey? Something I never believed for myself was possible – you can actually lose weight if you just keep going eating healthily and exercising over a long period of time and not obsessing over the numbers! Not like these short lived fad diets that if they don’t show results immediately you just give up and well usually eat more than you did before because you feel like you’ve just been starved! I certainly haven’t been starved up here in the mountains, quite the opposite and I often cannot finish the food put in front of me! I am now looking forward to cooking for myself and practising preparing the delicious meals I have had here…I have learnt that presentation is key – make the effort even if it’s just for you! I am feeling a need for some clothes shopping over Christmas as the clothing bank in town has done rather well out of me with all my clothes that are now too big….only annoying thing is, you know how most people have a pile of clothes that you usually buy and say ‘I will keep that ’cause once this next diet works I’ll be able to wear it’? Well I had several of these items even with labels still on…only what happened? I missed the bloody time slot when I was that particular size so now too big!! Doh! Exercise and I have an understanding now…I know it is good for me and I will definitely factor it in regularly now I am moving on, but I don’t have to like it! Walking I do love – although not always the incline but the good outweighs the bad as fresh air and scenery is always gonna be a winner! It has taken years to be in the mindset that I am in – you cannot expect to change the wiring overnight! Persistence and reinforcing new values with repetition is key, plus not beating self up if you revert back to old wiring at times. Cheryl and Louise both wearing the trousers Chezza arrived in. We are human – emotions come and go – it is about learning how to surf at the peak of emotion. This year I have worked hard at my new wiring and it is coming good. Writing is an invaluable tool to help me cope and understand emotional states – when I have felt low, or wanted to binge , I have taken pen to paper to battle it out and dump my unhelpful thinking. Often after this it helps you feel calmer and more in control again. I have also been told to take an inventory from time to time – check how far you’ve come, what you’ve achieved, often we neglect to remember what we’ve done – a pat on the back is probably overdue! Finally in respect to any part of life I have learnt to cut myself some slack using the ‘good/better/best’ idea which means it’s good to aim for ‘best’ but it’s also absolutely fine to hit ‘good’. The other thing is the under promising and over achieving rule which means for example if you want to go to the gym four times a week, half it, make it two so that if you do more than this then you can feel pleased and not feel like you’ve failed if you don’t hit four! (phew! That’s a new thing being able to say stuff like that about myself! 🙂 and although a little apprehensive about leaving my mountain bubble I think I am ready to give life a go outside and keeping healthy. 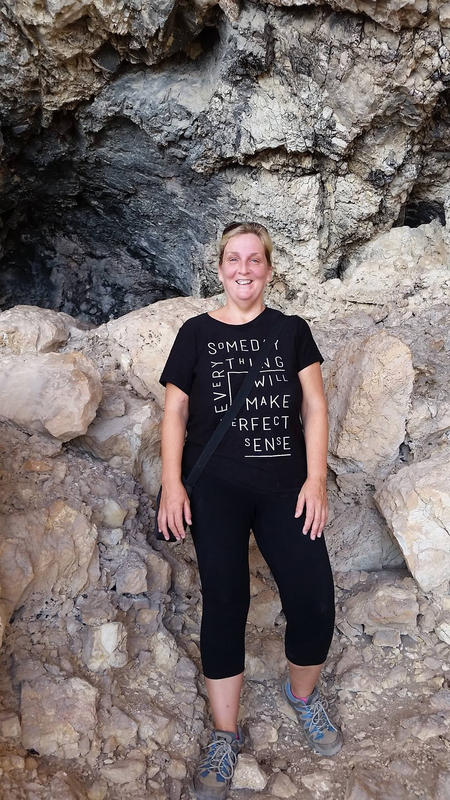 Okay so initially I am not going too far….down the mountain to Javea…..but it’s a step and I want to ensure this is a permanent lifestyle change so will pop up to the bubble (aka D-Toxd!) for a top up from time to time…..well why not?! To find out more about our program, visit our website (www.d-toxd.com) or visit our Facebook Page. Or drop us an email at info@d-toxd.com to find our more information about our Brand New Online Programs starting in 2017. Cheryl…. well done you! I know how great you’re feeling as I too have lost 5 stone over a similar period. I too went down to my ‘saved’ clothes, and then right through and beyond! It’s an immense achievement and a brilliant outcome. It was lovely to see you in September, so close, and still going strong towards your end goals. So great to see you made it! I don’t often reblog, but this is worth a read. 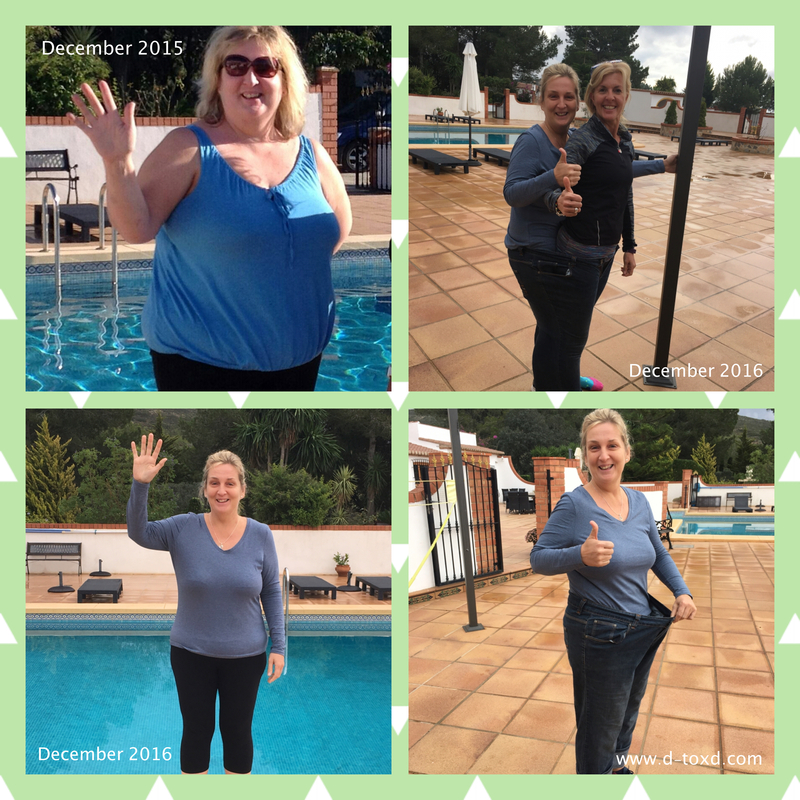 I met Cheryl at D-Toxd in Spain back in September, and learned a little of her weight-loss experience. 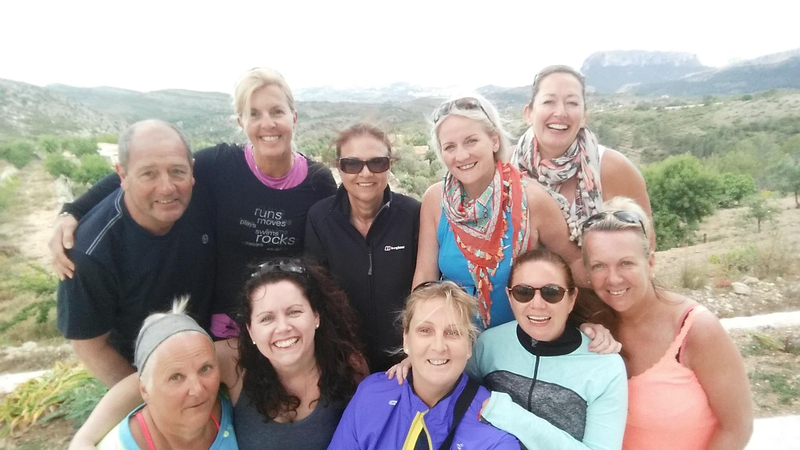 She’d taken the bold step of installing herself at this wonderful healthy lifestyle retreat for a year (working her passage!) to change her life. And change it, she did. Well done Cheryl, and kudos to D-Toxd for providing such a supportive environment. I’ve known this fantastic women since she was in her late teens and just keep being amazed at her tenacity, courage, ability to bounce back. So very glad she found this wonderful supportive environment to change her life for the better. I was a Person Centred Counsellor and see Chezza as having experienced Roger’s theory – humans have one basic motive, that is the tendency to self-actualize – i.e. to fulfill one’s potential and achieve the highest level of ‘human-beingness’ we can and that given unconditional positive regard that’s what we do! and that’s what you’ve done Chezza! Brilliant! We are SO proud of her and thank you for such kind words too. Really proud of you Sis, I really didn’t believe you could achieve this. So pleased you’ve made it, love yourself and love life, you so deserve it! Tremendously well done – this is a MASSIVE achievement! You should be really proud Cheryl!